A re-route in the area south and east of Sundance in Maple Grove occurred for the 2016-2107 season and remains in effect. This map shows the change. 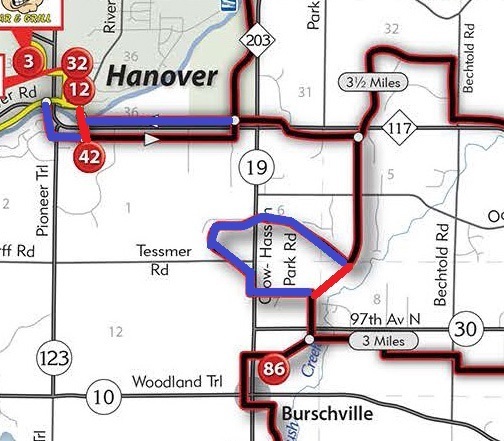 Coming into Hanover our trail no longer runs on the north side of Cty 19 between Crow Hassan Park and Hanover. The trail is bi-directional on the south side of the road now. Additionally, the trail west of Hilltop Bar is closed because we can meet up with the Wright County trails by crossing the historic old Hanover bridge directly north of Hilltop. See this map update and note that the blue sections are closed and the red sections are new. 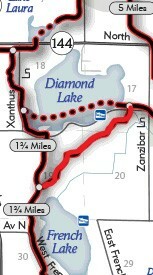 The trail east of Lake Laura in Dayton running north along Lawndale and then east and south to N. Diamond Lake Rd. is closed. This may re-open, so watch for signage and stay off if signs say 'closed'. 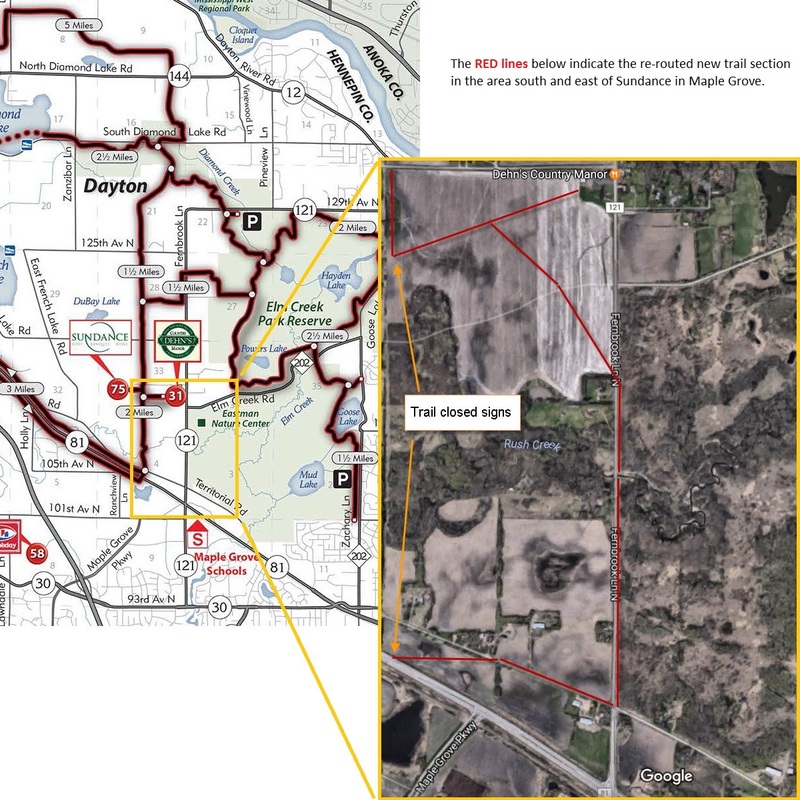 A new section of trail has been added connecting from the north side of French Lake to the SE side of Diamond Lake in Dayton. New map is accurate. On the south side of Rogers, south of Fletcher, trails have been re-oriented due to new development. They still connect in a similar manner to the past but watch for signs and STAY ON TRAIL. There are many development-related obstacles off-trail that are dangerous. New map is accurate. A new section of trail connects from the Lions Park parking area in Corcoran (Henn county fair location) south along Hwy 101 to the Holiday at 101 & 55. A small stub also continues the connection leading to Medina Ballroom over to Holiday from the west. 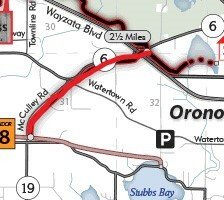 Due to new development our trail no longer runs along Hwy 55 east of Hamel into Plymouth. We have opened a new trail section along McCully Rd. in Orono connecting our system to the Luce Line Trail. A small section of trail was added in Rockford connecting the Wright County trail through downtown to an area near the high school.